A founding member of the League of New Hampshire Craftsmen, the Sandwich Home Industries (now known as the Center Sandwich Fine Craft Gallery) has been supporting artisans and providing crafts education for over 90 years. It all began in 1926 when Mrs. J. Randolph Coolidge organized an exhibition of locally made rugs and brought an expert from Boston to give a talk on the practical aspects of making and marketing rugs. From this experience, it was decided to form a cooperative venture and a shop was opened in the summer of 1926 for the purpose of selling locally made handicrafts and thus supporting the local economy. An early brochure for the Industries (as it was locally known) shows a wide variety of local crafts from basket making to woodworking and furniture, handwoven textiles and, of course, the hooked and braided rugs that started it all. First season’s sales were over $1000, and also included income from their tea-room. The next year the Industries was offered a building rent-free that they could improve to suit their needs. 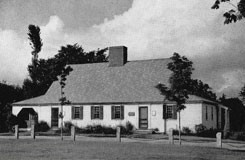 The shop and tea room were located there on Main Street until the building was burned to the ground during the Great Fire of 1934, a fire that consumed most of Sandwich’s business area. In 1935 a new building was built across the Green from the previous location, designed expressly for the Industries. This building, expanded and improved, continues as the home of the Industries today. Mrs. Coolidge combined forces with A. Cooper Ballantine, representing a group in Wolfeboro offering craft classes, to establish a committee seeking to promote the handicraft movement with a statewide plan for training craftsmen. In 1931, NH Governor John Winant supported their idea, establishing and funding the NH Commission of Arts and Crafts. The commission’s first report to the governor focused on the values of hand-made work with an emphasis on the individuality of expression and enhancement of skills and design through organized education. As a result, the League of NH Craftsmen was formed in 1932 with Mary Coolidge as their President, a post she held for the next 10 years, and remaining as honorary president until her death in 1949. 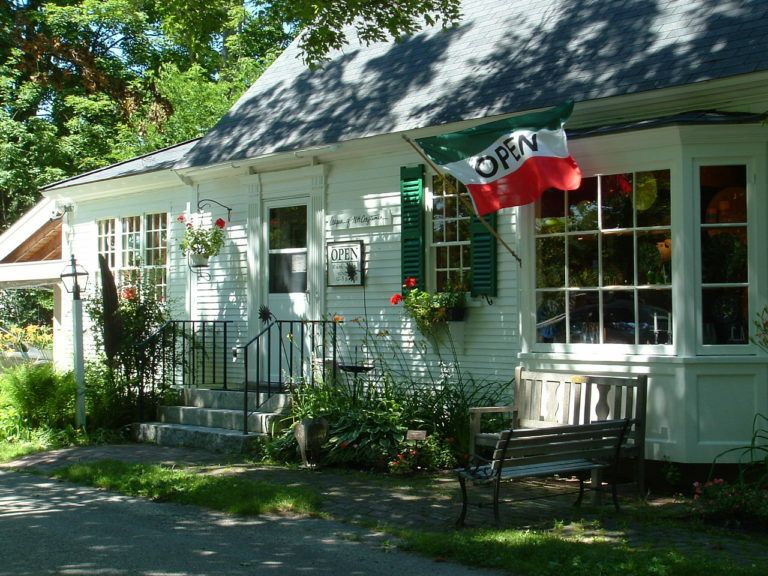 Although it has grown and expanded over the years, the Center Sandwich Fine Craft Gallery, as the Industries shop is known today, is still open seasonally from mid May to mid-October, but continuing its tradition of supporting craftsmen locally and across NH. The education program continues with a wide variety of craft workshops and demonstration. In 2009, the children’s class schedule was expanded as a result of an alliance with the Sandwich Children’s Center. And the latest generation of shoppers continues to find just the right hand-crafted item from the wide selection of fine quality traditional and contemporary crafts at the Center Sandwich Fine Craft Gallery. OUR MISSION: The mission of the League of NH Craftsmen is to encourage, nurture and promote the creation, use, and preservation of fine contemporary and traditional craft through the inspiration and education of artists and the broader community.